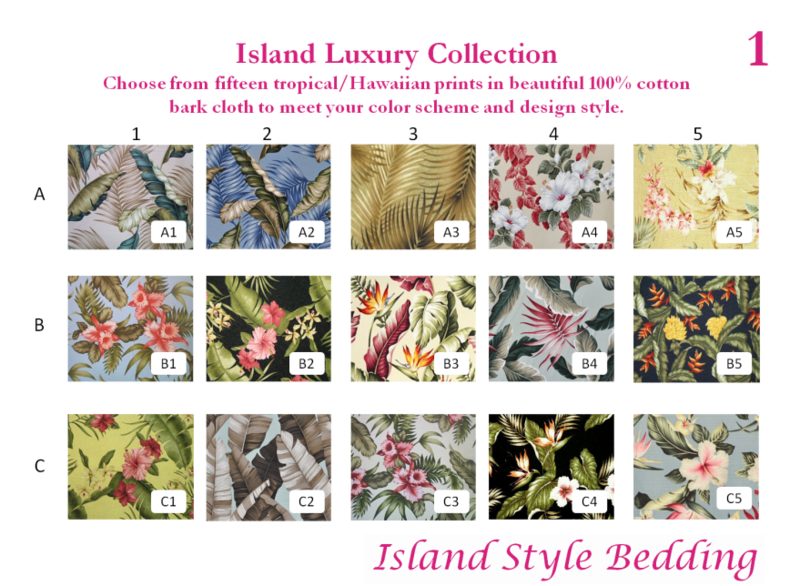 We offer 15 gorgeous tropical Hawaiian prints in both our Island Luxury and Island Chic Lines. Both fabric print sets include a variety of patterns and colors for you to choose from to meet your specific design needs. They were selected to work well with many different color palettes, with background colors and accents that compliment a wide variety of wall color selections. Each of these island designs is made of cotton bark cloth (upholstery fabric) that delivers a wonderfully rich look and feel to bring paradise into your home. Here you will find a selection of tropical designs, including hibiscus, orchid, bird of paradise, ginger, banana leaf and palm frond prints. These fabrics are made of 100% cotton and are more affordable. 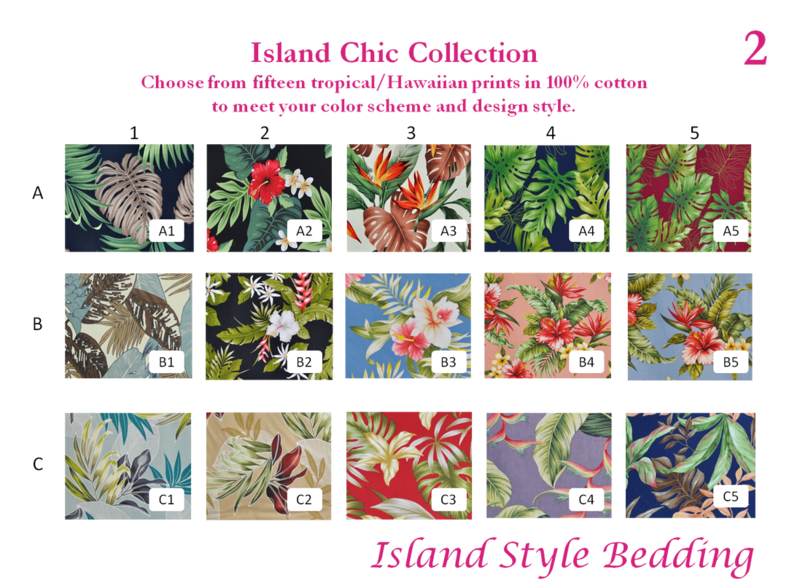 They are of a lighter weight than the Island Luxury line (made of upholstery fabric), however, they too deliver an instant tropical look to transform your home.